On Monday night, I was out sort of late. It coulda been the Willie Nelson, coulda been the wine... all I know is I saw something I had never seen in this city. It was the size of a big cat, and it looked like a hairy aardvark. 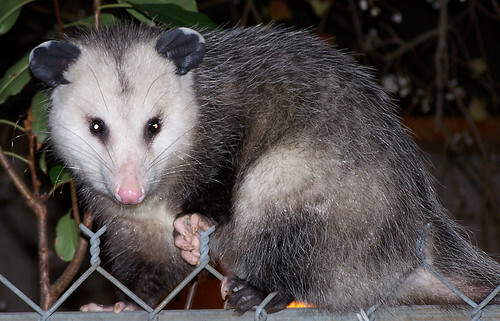 A little Googling tells me I probably saw my first possum. It was a rather surreal moment, actually. I hope I see the little dude again.